The information presented on this page was originally released on October 21, 2016. It may not be outdated, but please search our site for more current information. If you plan to quote or reference this information in a publication, please check with the Extension specialist or author before proceeding. STARKVILLE, Miss.  -- Fewer Mississippi producers are looking at grain sorghum as a crop rotation option since an introduced pest became a major problem, a trend Mississippi State University researchers are working to reverse. The sugarcane aphid is a nonnative pest introduced to the United States in Florida in 1977. By the late 1990s, it had been found in Louisiana. In both states, the pest initially fed on sugarcane. At some point, the aphid began feeding on Johnsongrass, a significant weed found in sugarcane and other crops in the Midsouth. 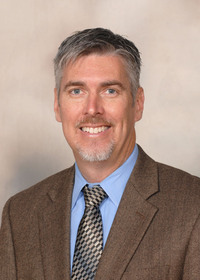 Sugarcane aphids were first found on sorghum in Mississippi in one Bolivar County field, said Jeff Gore, Extension entomologist who also works with the Mississippi Agricultural and Forestry Experiment Station at the Delta Research and Extension Center in Stoneville. If these aphids are not properly managed or controlled, honeydew can be such a problem at harvest that many producers make insecticide applications with desiccants to keep the pests out of sugarcane heads and cut back the sticky secretions. In some cases, growers pull water trailers through fields where aphids were not adequately managed before harvest. They periodically stop to spray the sugary substance out of the machinery. 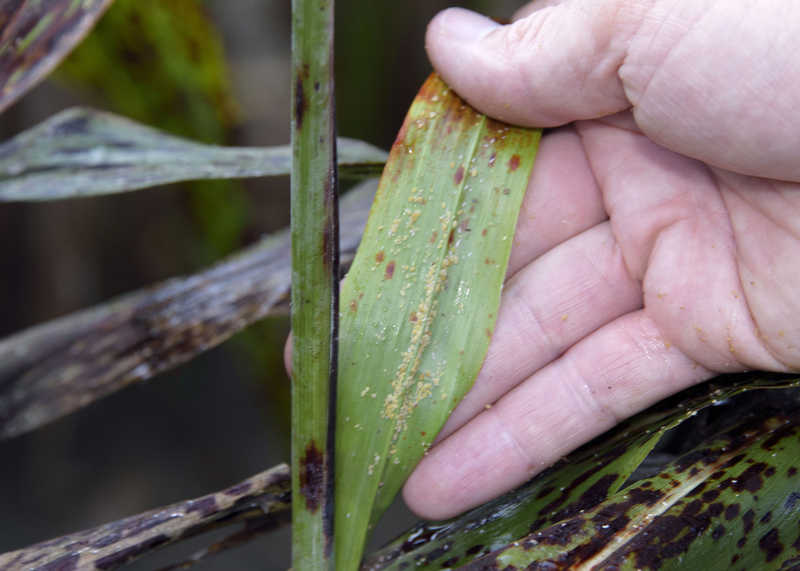 Controlling sugarcane aphids is not difficult, but it drives up expenses, making the crop an unattractive option unless prices are high. 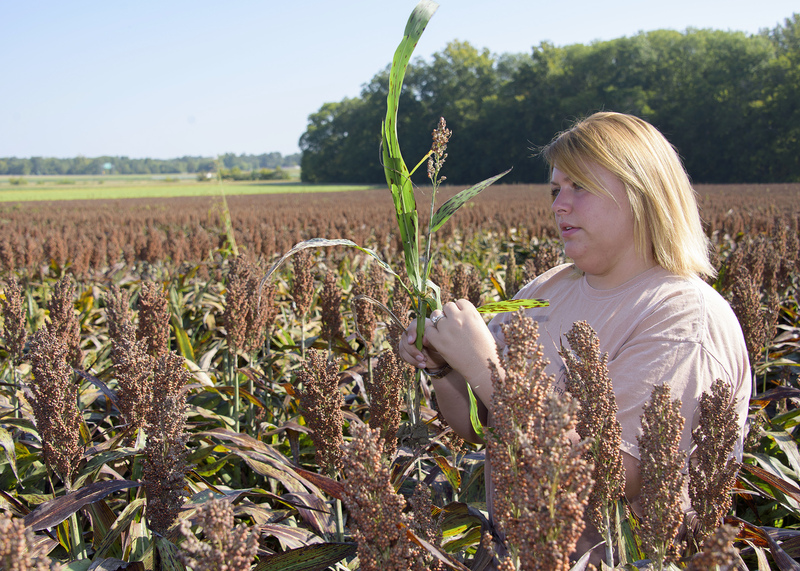 Mississippi farmers have historically planted around 70,000 acres of sorghum each year. The crop rotates well with cotton and soybeans, as it helps with weed management by allowing growers to fight weeds with different chemicals. Brittany Lipsey, an agricultural and life sciences graduate student from Louisville, Mississippi, conducts sugarcane aphid research to develop better management so that sorghum farmers can have a sustainable future with the crop.